Heart and vascular diseases comprise the leading cause of death in the United States and a major health problem worldwide. Despite significant advances in our understanding and treatment of the origins of atherosclerosis and heart attacks, the complex array of diseases that afflict the cardiovascular system continues to grow. New treatments for these diseases have not kept pace. In order to decipher the origins of the complex diseases that afflict the heart and vasculature, multi-disciplinary approaches are necessary to move fundamental discoveries toward first-in-human trials in an efficient manner. To achieve these goals, the Penn Cardiovascular Institute (CVI) was established in 2005 as a collaborative multi-disciplinary group of basic and translational researchers dedicated to scientific discovery and medical breakthroughs in the understanding and treatment of cardiovascular disease. The CVI has grown substantially since 2007 and includes membership across the Perelman School of Medicine. 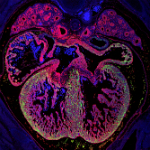 Fundamental discovery to elucidate the pathophysiology of diseases of the heart and vasculature. Translational studies to rapidly move discovery toward new paradigms in patient care including breakthrough therapies, technologies, and diagnostics. 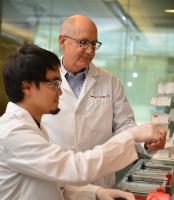 Train the next generation of cardiovascular scientists poised to engage in fundamental and translational research relevant to cardiovascular disease.